So you want to start an eCommerce website? WordPress and WooCommerce is a powerful combination that allows users to start an online store, sell products from their website, collect payments, and much more. There are many Premium WordPress themes available that not only support WooCommerce, but also includes a plethora of features. So it is hard to decide which is the best one for your needs. Flatsome is one of the best Responsive WooCommerce WordPress Themes available on Themeforest. You can create any kind of online store using Flatsome. The theme comes with a lightweight drag and drop page builder. Live search for products, wish list, catalog mode, touch optimized banners & sliders, sticky header, quick zoom product images are some of the features which make it a powerful eCommerce WordPress theme. Woodstock is an elegant and modern WooCommerce Theme which comes in two versions – light and dark. It is a feature rich theme and is suitable for shops like electronics, watches, clothes, etc. Premium plugins like Visual Composer page builder, Revolution Slider, Master Slider and Quick View plugin comes bundled with this theme. If you want to create eBay or Amazon like store, Mango WooCommerce theme is what you need. The theme uses WC Vendors plugin to create marketplace or multi-vendor website and thus allows other sellers to set up their store on your website. This responsive and retina ready theme includes 20 variants and is very easy to customize. 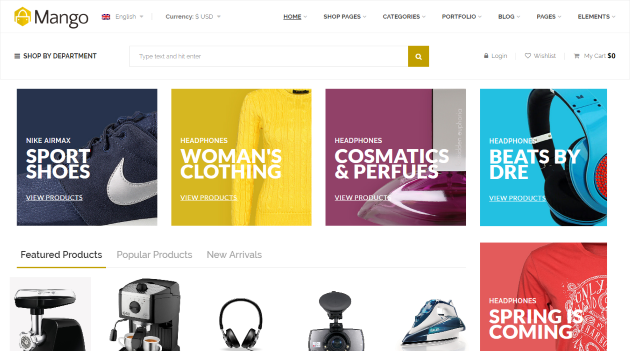 GoodStore is a responsive and SEO optimized WooCommerce theme. The theme includes 22 amazing and customizable layouts, thus making it easy to create beautiful eCommerce websites. It comes with a drag and drop builder RevoComposer which allows you to create pages quickly and also allows you to preview it live. 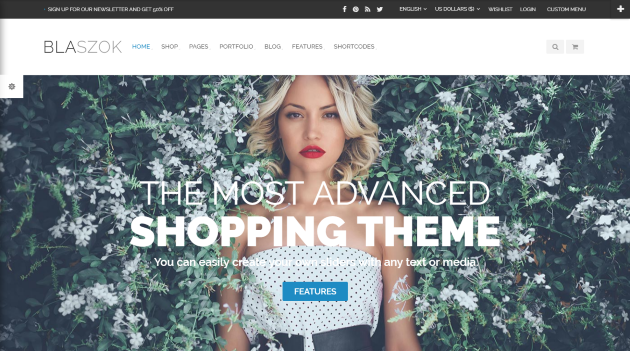 Oxygen is a modern and responsive WordPress theme powered by WooCommerce. Visual Composer and Revolution slider comes free along with this theme. This translatable theme is fully retina ready and touch optimized and comes with features like quick view, cart on top, catalog mode and wish list. 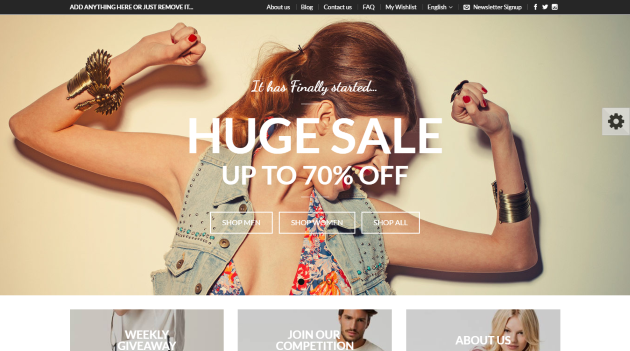 With more than 8000+ sales, Shopkeeper is one of the best eCommerce WordPress themes. It is a responsive and fully customizable theme with pixel perfect design. 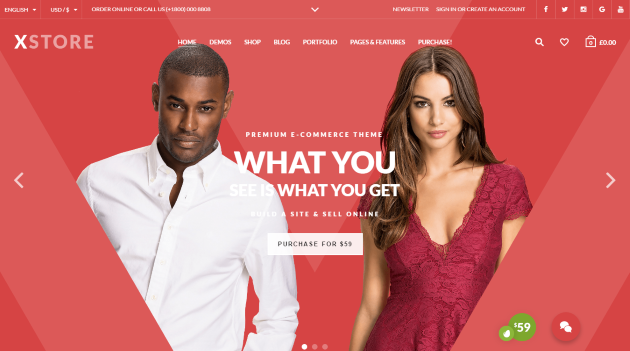 You can use this theme to create any kind of online store and sell digital products or shippable goods. Being a multipurpose theme, Shopkeeper also allows you to create blogs, product catalog, portfolio or corporate sites. Blaszok is responsive and retina ready WooCommerce WordPress theme. It supports 3 theme layouts – boxed, floating boxed and full-width. It is easy to use, customizable and comes with a plethora of features. This WPML ready and SEO optimized theme includes premium plugins like revolution slider, visual composer, essential grids and pricing tables. Blaszok comes with 4 predefined styles, 35 header layouts, 9 post format, 45 shortcodes, and more than 600 Google fonts to choose from. 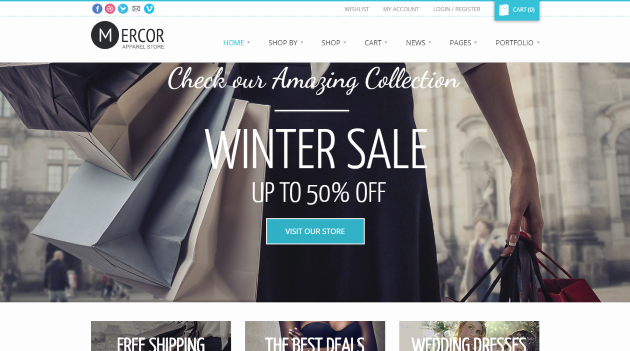 Mercor is a responsive and modern WooCommerce WordPress theme. It offers two types of shop pages – full-width shop and shop with sidebar. The theme allows you to customize the layout, colors, styling and fonts from the theme admin panel. Important functionalities like zoom product images, wishlist and sliders are part of this theme. 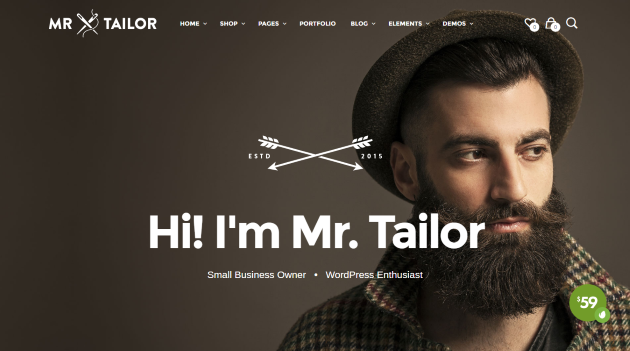 Mr. Tailor is a modern and multi-purpose eCommerce theme. It is responsive, customizable, and is suitable for any kind of online store. With the help of Visual Composer plugin, you can create custom pages based on your needs, and that too without any coding knowledge. This translation-ready theme comes with a lot of eCommerce features like filter products, built-in coupon system, easy shipping calculator, one-page checkout and much more. 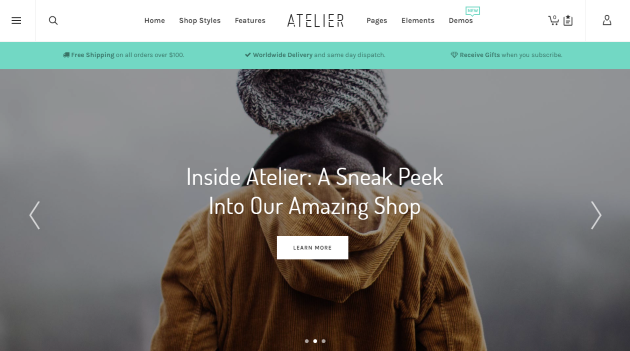 Atelier is a retina-ready, SEO optimized and fully responsive eCommerce theme. This multi-site ready theme supports boxed & full-width layouts. The theme is translation and RTL ready and comes with the incredible Swift Page builder. It includes 10 header types, 3 product post page variations, 3 cart styles, 4 product display types, built-in mega menu, and lots of shortcodes. 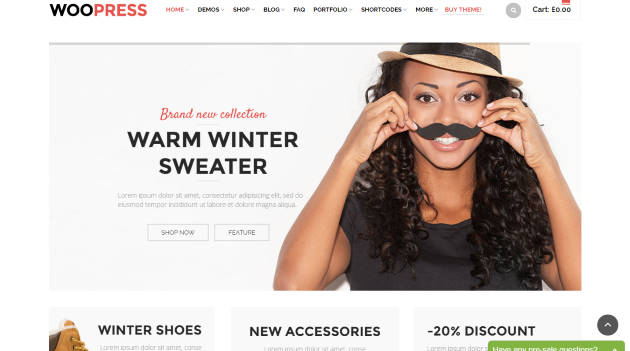 WooPress is a professional and sleek WooCommerce theme developed by 8theme. This responsive premium theme includes more than 20 amazing and elegant layouts. It comes with powerful features like live search, different blog layouts, advanced grid system, custom product page layout, product image zoom, custom headers & breadcrumbs, promo pop-up feature and much more. 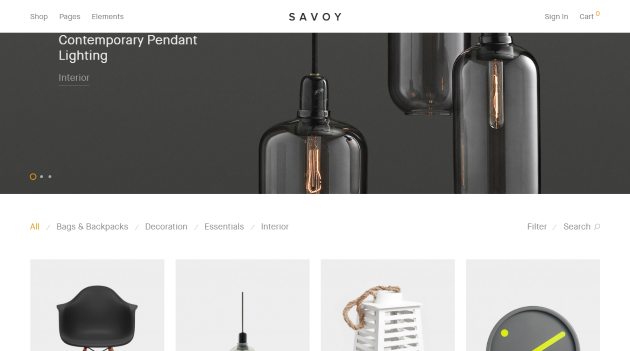 If you are looking for a minimalist, clean and elegant theme for your eCommerce store, Savoy is the best one for your needs. It is a modern WooCommerce powered WordPress theme which provides seamless user experience, thanks to its built-in AJAX functionality. Savoy is a fast loading and SEO optimized theme. Features like product image lazy-loading, multi-column mega menu, touch enabled sliders & galleries, product quick view, etc makes it perfect for any type of online store. 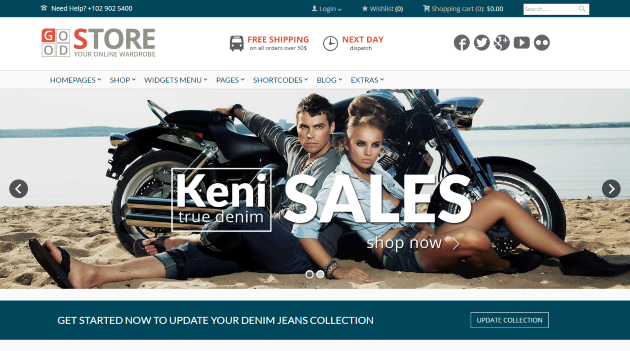 XStore is an elegant and responsive WordPress theme that makes it easy to create online stores. The theme includes features like catalog mode, product hover effects, product filter, multi-column product grid, product videos, and much more. This WPML compatible theme comes with a powerful and user-friendly admin panel. So you can create a modern and fully functional eCommerce store in no time. Premium plugins like Visual Composer and Revolution slider come free along with XStore. 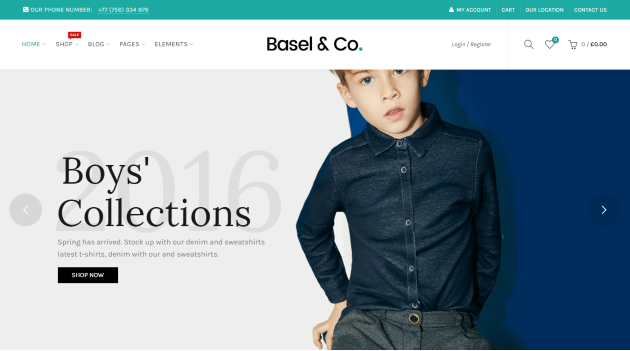 Basel is a professional and minimalistic AJAX based theme powered by WooCommerce. It can be used to create powerful and modern eCommerce stores. This translation ready theme includes 7 portfolio styles, 4 blog styles, 4 product hover effects, 3 single product page layout, and comes with 4 general layouts – wide, boxed, small boxed and full width. Basel includes features like 360 degree view, AJAX shop filters, AJAX search, built-in quick view feature, and much more. Suave is a Multi-purpose WordPress theme which is WooCommerce ready, mobile friendly and WPML optimized. It is easy to customize theme which helps us to create beautiful online stores. The theme is SEO optimized, RTL ready and child theme friendly. Some features like AJAX product search, Filters, Quick view, and more makes it one of the best WooCommerce WordPress themes. 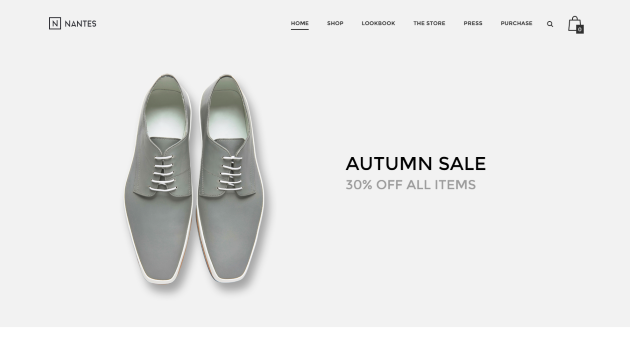 Nantes is a clean, modern and creative eCommerce WordPress theme which can be used to start your online store. Not only that, you can also use this theme as a corporate or portfolio website. You can create amazing pages with the help of its drag and drop page builder. 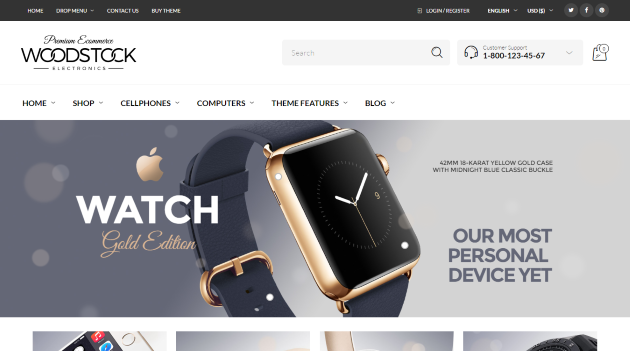 This retina ready theme includes features like off-canvas cart, wishlist, advanced reviews and much more. 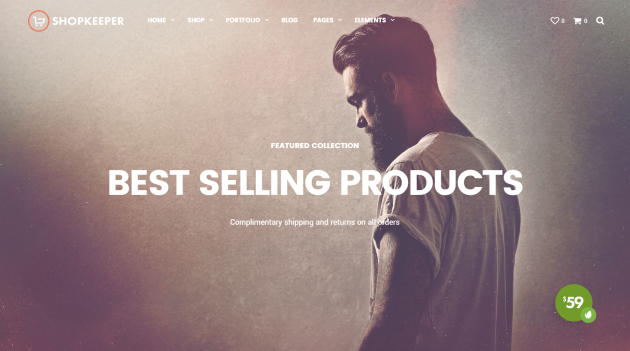 The above are some of the best WooCommerce WordPress themes. Most of them include lots of features which help us to create elegant, modern and professional looking online stores. Which one of the above themes do you like the most? Share it with us in the comments section. Sandipan Mukherjee is the founder of WPHour. He is also a WordPress Developer and a freelance writer for hire. You can connect with him on Twitter.